Brad’s been the pastor of St Giles since 2011. He’s married to Megan, and they have five boys and a girl. Brad is thankful to have heard the good news about Jesus Christ as a young boy. It was in secondary school though, that God graciously opened Brad’s eyes to see his sin and bring him to faith in Christ. 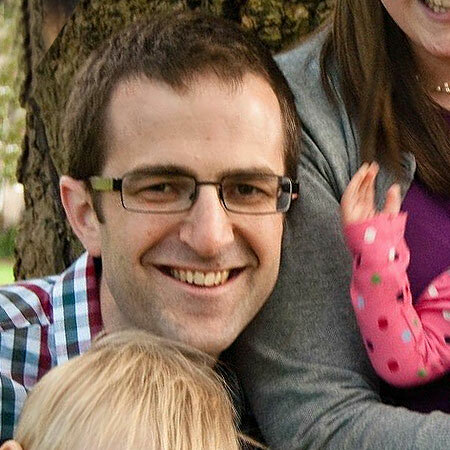 Before coming to St Giles, Brad served as the assistant minister of Eythorne Baptist Church in Kent (2010-2011) and as pastoral intern at Faith Baptist Church, Indiana (2007-2010). Prior to training for pastoral ministry, Brad worked as a university lecturer. In his spare time, you may find him building Star Wars lego, eating Greek food, reading old theology books, supporting Tottenham Hotspur, or running a lot slower than he used to.